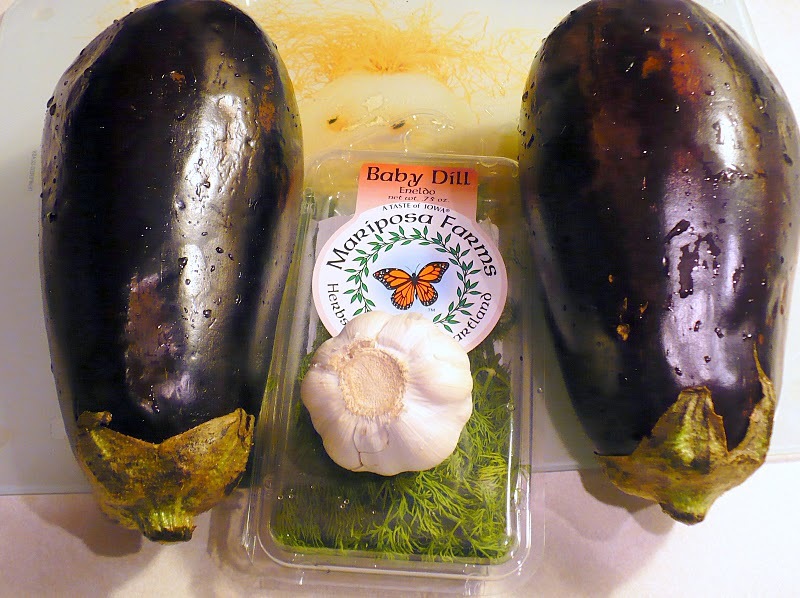 Don’t include too many eggplants in your diet if you’re interested in: Weight gain. In other words, if you stay with the eggplant diet you will finally be able to attain that figure you were dreaming about, all the while consuming tasty eggplant recipes. 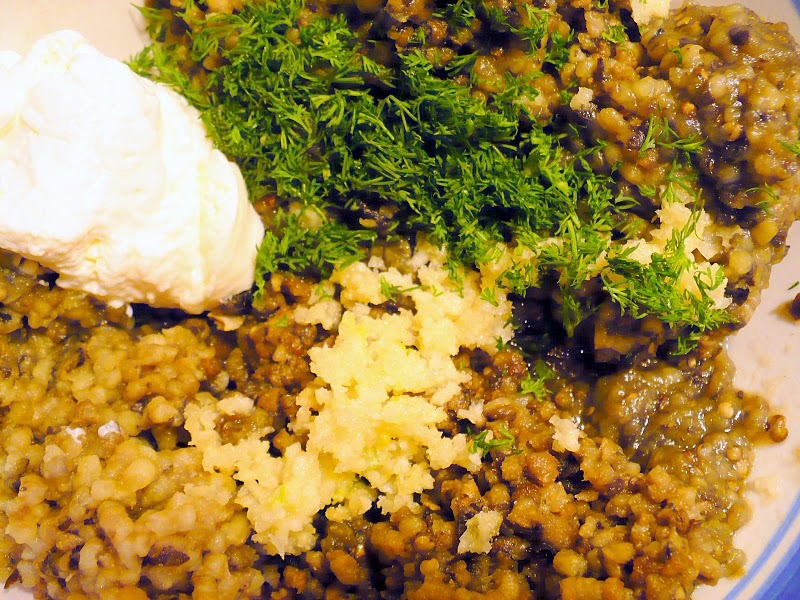 This recipe contains 2 eggplants, dill, garlic and mayonnaise – if you don’t like these ingredients separately or in combination, please move along. 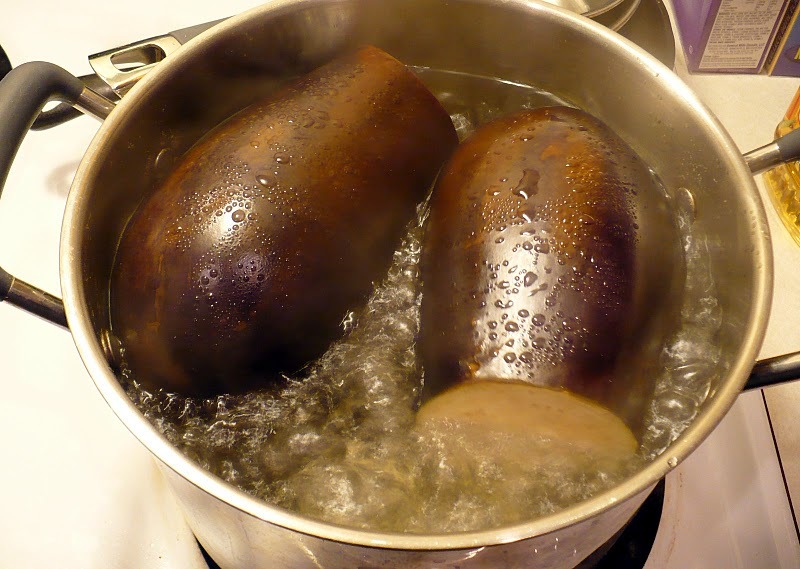 Remove green ends from the eggplants and place them in a pot of boiling salted water. Sometime during the cooking process try to turn the eggplants over, they will resist and try to flip back, one of you will eventually win, hopefully not the eggplant. You may want to use the lid for that purpose. Check periodically,when a toothpick goes through the eggplant without much effort, they are done. Time depends on the size and shape of your eggplant (if you know what I mean) but definitely over 20 minutes. Just keep checking. Remove from the pot. The next step is to press the eggplant. 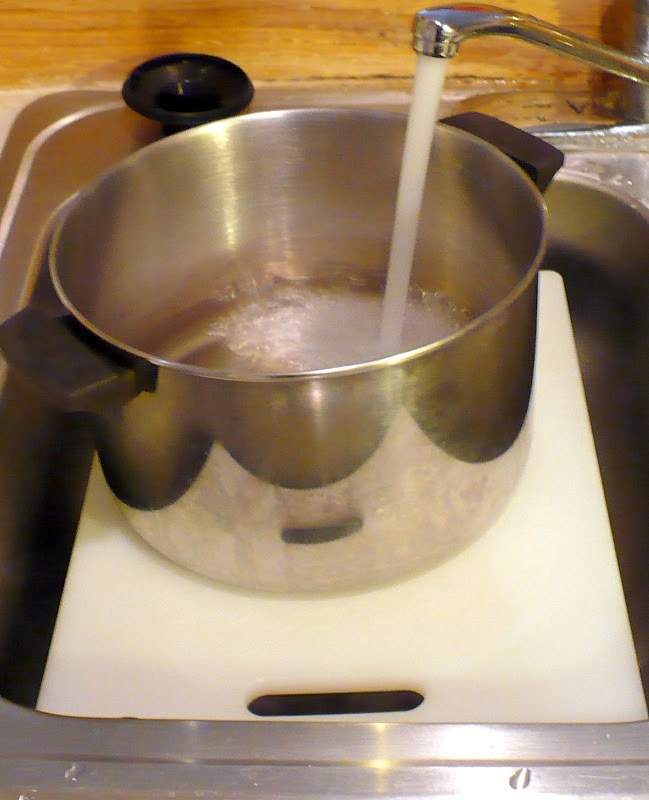 Place a cooling rack into the sink. 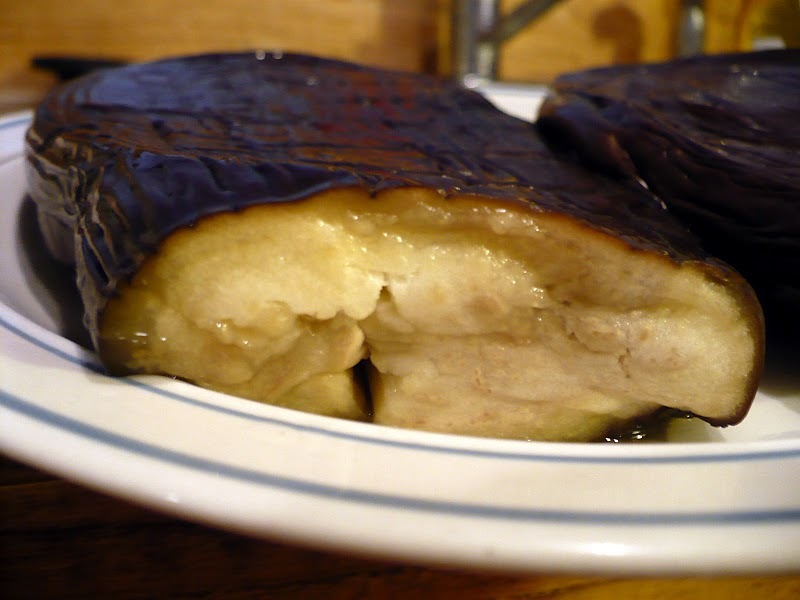 Cut multiple slits into the skin of the eggplant lengthwise. You need some weight to extract as much moisture out of the eggplant as you can. 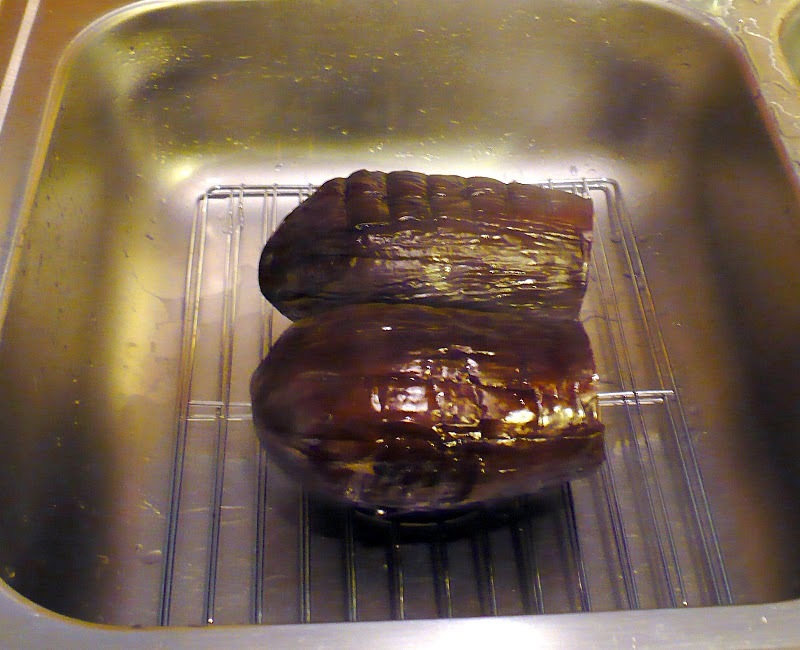 One possible way to do it is to place a cutting board on top of the eggplant and weigh it down with a pot of water. Two hours later the eggplant should look fairly flat. I use the meat grinder to chop the eggplant, you can use the food processor, just don’t pulverize it, you are not making toothpaste, it should retain texture. Add plenty of chopped dill, a little mayonnaise and as much garlic as you deem appropriate. Some salt and pepper to taste. 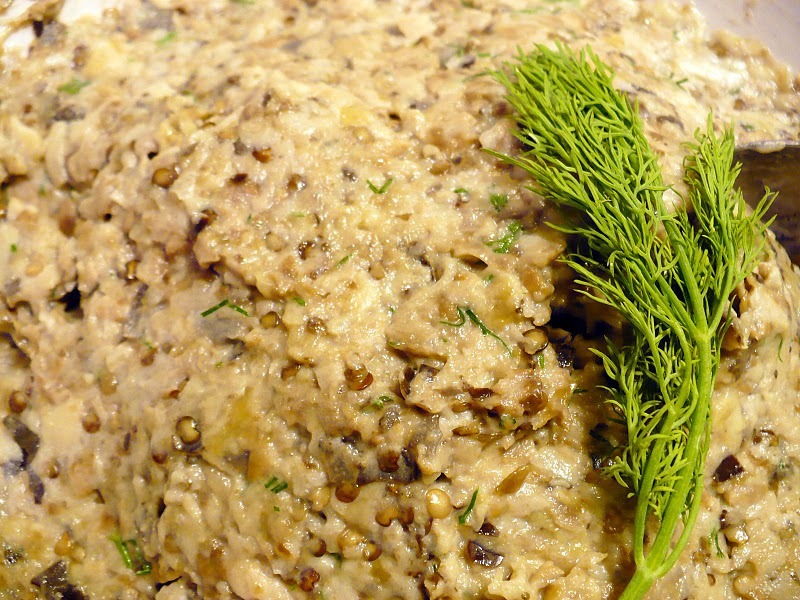 The final product looks like this and can be consumed with crackers or bread, in sandwiches, or on its own. Warning: In case of extreme weight loss please discontinue.